Facebook Messenger, mostly just referred to as Messenger these days, (or "I'll send you a link on Facebook") has improved at a rate of knots over the last year or so. It's had a material overhaul, nicknames and color functions added, group calling, games, new emojis, SMS support, and probably a lot more. 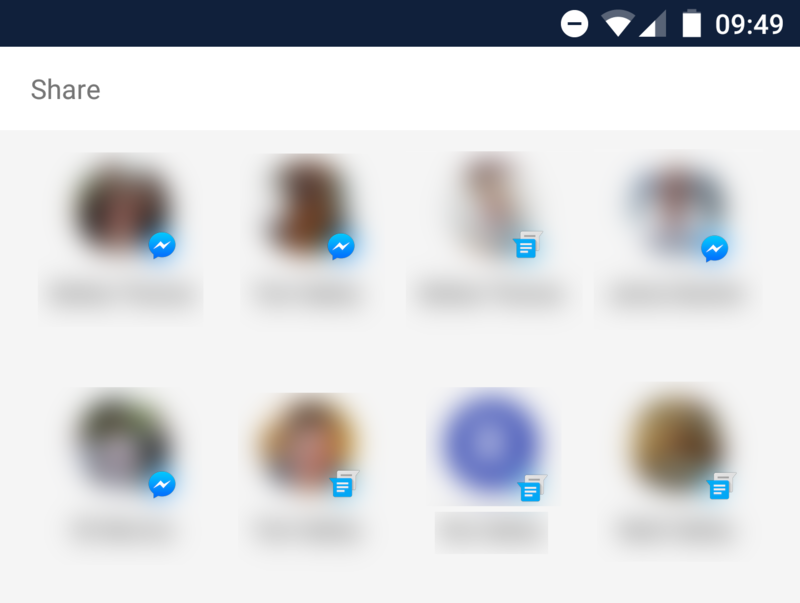 Today another new feature has arrived Messenger, especially for Android: Direct Share. In my travels across the web, I've seen many people asking for this feature. Well, now it's here, and it works as well as you'd expect it to. Find a tweet, reddit post or comment, a link, anything that brings up Android's share menu, and if you're running at least version 88.0.0.11.69 or above (thanks, Alexander Sofinskiy), plus Android 6.0 Marshmallow or 7.0 Nougat, you should see your most-messaged people appear in the Direct Share menu above the apps. 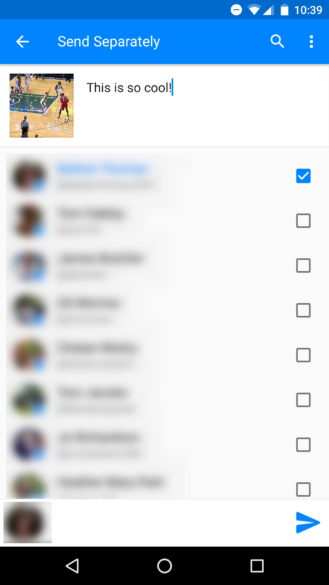 Tapping a person's profile picture (with a little Messenger icon in the lower right) brings up the share message Activity, where you can type a caption or send it to multiple people. Left: Direct Share, above the apps. 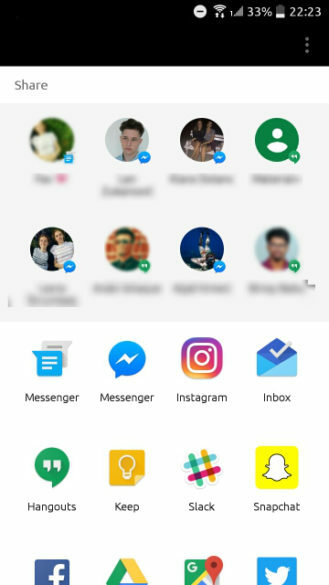 Right: the share Activity tapping a Messenger contact takes you to. This is a pretty useful addition, although because it takes you to the share Activity on Messenger it actually only saves you a step or so. Still, it's good to have it there. Messenger is available on Google Play, and there's also the beta program, to which you can opt-in here, but we also have the very latest version, 89.0.0.7.69, on APK Mirror if that's your thing.